Home›Lifestyle›Which Foreign Language Will Make You a Better Entrepreneur? As various industries become more globalized in this modern age, corporate giants and startups alike have expanded their bandwidth overseas. Therefore, the need to communicate with diverse cultures and nationalities is a sought-after trait among successful business owners. Still, the question remains: “Which language should I focus my attention on?” In order to make this decision, you must first consider your target industry. Below are five statistically lucrative and in-demand sectors, along with the foreign language that benefits each field the most. According to an analysis conducted by the U.S. Department of State, these are among the world’s most commonly spoken vernaculars, making them worth your time, effort, and investment. Consider which industry your business is in and therefore what language you should consider learning. If your business involves helping to boost our nation’s economy through international visitation, Portuguese is an ideal language to study. With more than 20 million native speakers within its vast borders, Brazil ranks among the “top five” countries whose citizens routinely vacation in the United States. In fact, arguably America’s tourism capital, Orlando alone has experienced an influx of about 770,000 Brazilian travelers per year since 2014, and 70% of Walt Disney World’s revenue comes from this population, according to the Office of Travel and Tourism Industries. If your business is based in this area, that’s also a good reason to take up Portuguese. 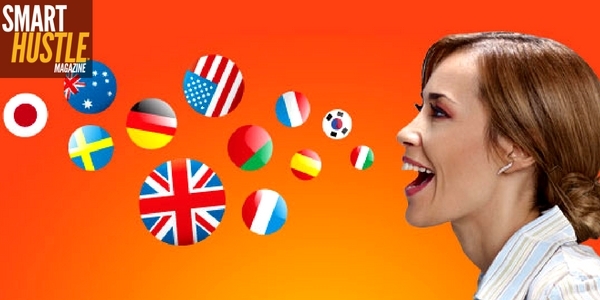 5 foreign #languages that will help you move up in your #industry. If you’re focused on investigating and reporting the latest global trends, impacts or current events, then Arabic is an ideal language to study. Since the sociopolitical climate has shifted to the Middle East, today’s journalists often spend extended periods of time in Syria, Lebanon, Egypt, Saudi Arabia, and other Arabic-speaking nations. Also, considering that Al Jazeera, a preeminent Arab news outlet, regularly corresponds with the Western media, a language barrier could disrupt this flow of information. If you’re in the world of tech, coding, and telecommunications, Chinese—specifically, the Mandarin dialect—is an ideal language to study. Not only is it the most widely spoken language in the world, with a little more than one billion speakers, but China is also recognized as a global leader in technological advancements. China has propelled society into the digital sphere and developed Easy Programming Language (EPL), the largest non-English-based coding methodology. Learn this language and open yourself and your business up to a whole new world of possibility. If you’re in the medical science and healthcare industry, Spanish is an ideal language to study. As of 2015, 41 million Spanish speakers resided in the U.S.—a number that will continue escalating over the next several years. This growth has increased the demand for healthcare provided in these people’s native tongue. This is particularly important if you operate in areas like Florida, California, Texas or other high Latin American concentrations, where bilingual healthcare professionals are essential. If you’re an entrepreneur in the marketing world, German is an ideal language to study. Those who speak German have a median salary potential that outweighs any other foreign language in the U.S., according to Kiplinger.com. For example, the average Marketing Manager who’s fluent in German could earn six-figures. This vernacular is also a major player on the worldwide investment and trade circuit and multiple German conglomerates like Siemens and Bayer significantly drive American industrialization. If you’ve forgotten the most basic sentence structures, grammar rules and vocabulary words from your college semester abroad, get serious about mastering that second language for a refresher course in professional development that will help take your business to the next level. Jessica Thiefels has been writing for more than ten years and is currently a lifestyle blogger and the editor of Whooo’s Reading and Carpe Daily. 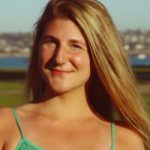 She is also the owner of her own small fitness business, Honest Body Fitness, and is using her experience from writing, editing, and marketing to become a successful entrepreneur. Follow her on Twitter @Jlsander07.